The results of the June 2018 Licensure Exam for Architects or Architecture Board Exam have been released. View the passers list and top 10. 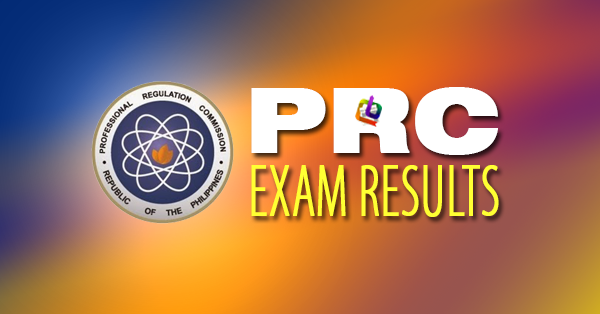 The Professional Regulation Commission (PRC) announced Thursday that 1,778 out of 3,177 passed the Architect Licensure Examination (ALE) given by the Board of Architecture headed by its Chairman, Arch. Robert S. Sac and board member, Arch. Robert M. Mirafuente. The examination was held in Manila, Baguio, Cebu, Davao and Legazpi last June 28 and 30, 2018. From July 23 to July 31, 2018, registration for the issuance of Professional Identification Card (ID) and Certificate of Registration will be done on-line. Please go to www.prc.gov.ph and follow instructions for initial registration. Those who will register are required to bring the following: downloaded duly accomplished Oath Form or Panunumpa ng Propesyonal, notice of admission (for identification only), 2 pieces passport sized pictures (colored with white background and complete name tag), 2 sets of documentary stamps and 1 piece short brown envelope and proof of membership issued by the Accredited Integrated Professional Organization. Successful examinees should personally register and sign in the Roster of Registered Professionals.